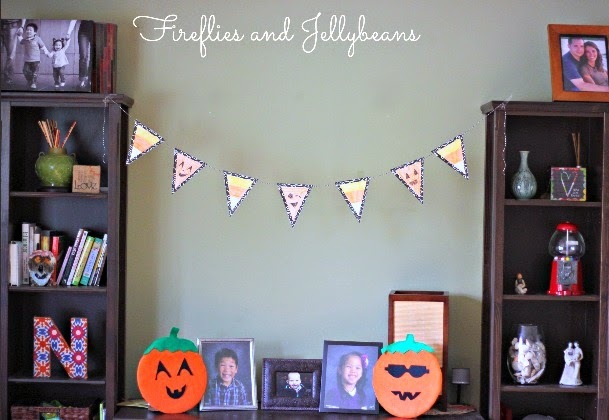 Fireflies and Jellybeans: Halloween Garland that is so easy it's SCARY! 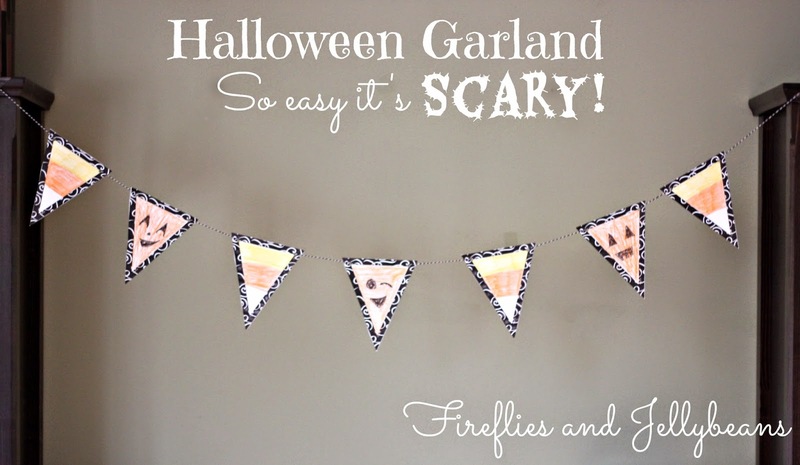 Halloween Garland that is so easy it's SCARY! 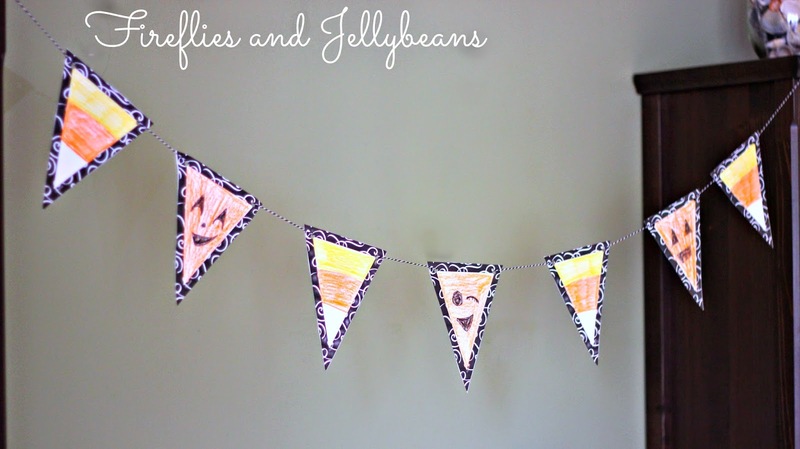 I am so excited to be joining a bunch of other fun bloggers in the FREE Printable Halloween fun! I created a Halloween garland that is so easy, even your kids can join in on the fun of making it! 1. 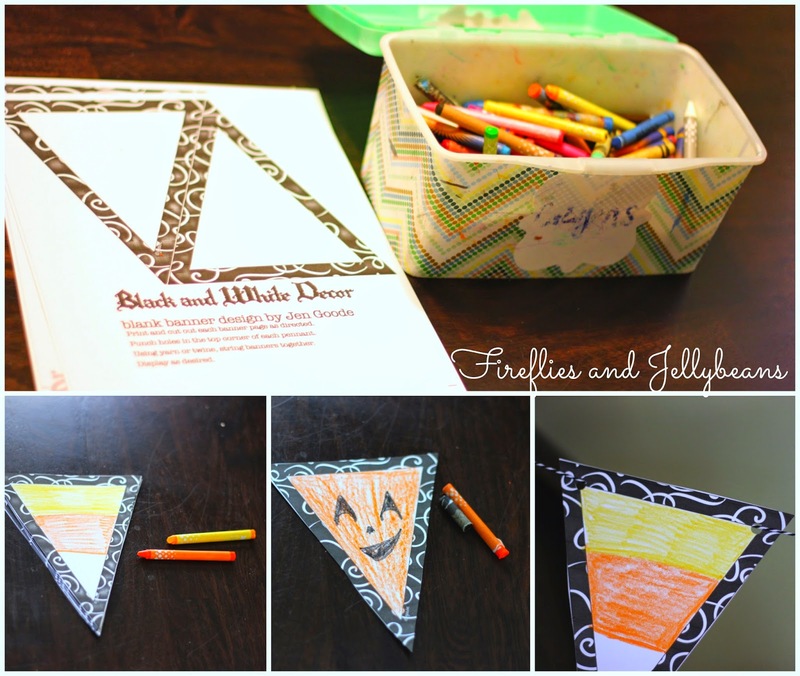 Print off the FREE Halloween Printables by Jen Goode, and grab some crayons. 2. Color the pendents to look like candy corn or pumpkins or what ever halloween thing you like! We keep it as non-scary around here! 3. Punch holes in the corners and pull some baker's twine/yarn through. The kids loved helping! Even the baby got into it! And since you can print off as many as you want every room in the house can get decorated! 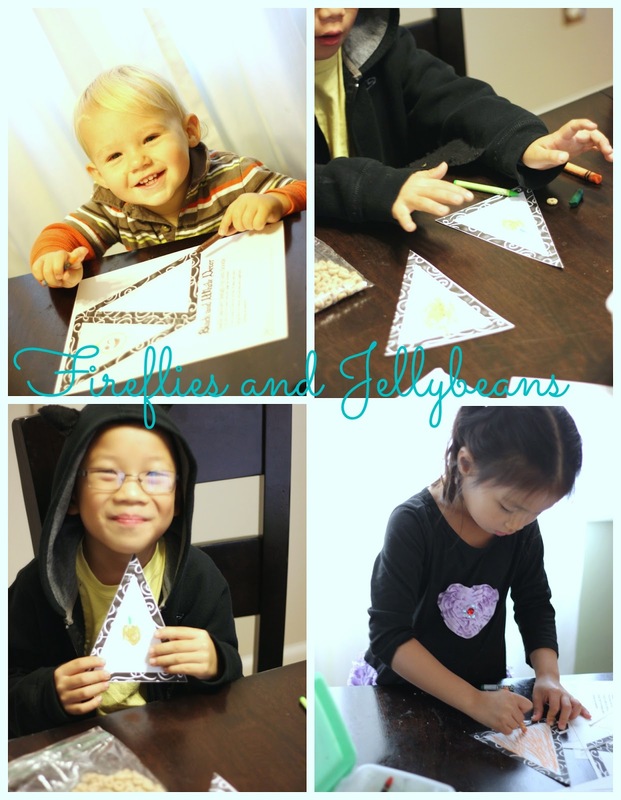 Such an easy way add some Halloween fun! Find the Pumpkin Funny Faces tutorial HERE!